Notes: Common in oak woodland throughout England and Wales. 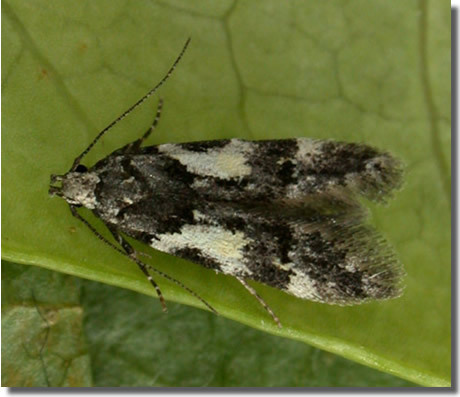 Widespread and common in Hampshire. 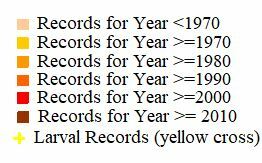 Not recorded from the Isle of Wight since 1856. Wingspan 10-12 mm. 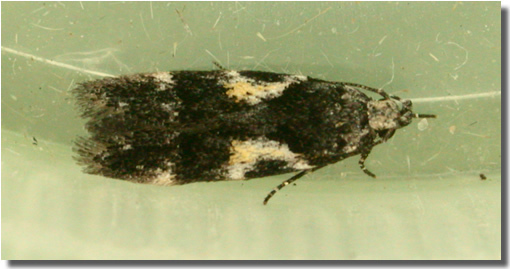 Superficially similar to the very rare immigrant T. flavimaculella, which see. Larva feeds on Oak, living between leaves spun together with silk, over-wintering as a pupa.